Geometric-001 Select your colors for this geometric design. Shown are: Khaki green, ruby red and navy blue all using a medium grey for the spots and font color. If you do not specify a background color, we will print it in khaki green. The font shown in the sample is Arial Narrow and the badge size is 1.5" x 3". Please note in the comments area of your order the background color you prefer. Border-001 Simple yet eye catching border. You may specify a different color combination in the comments section of your order. 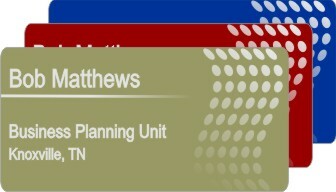 The sample shown is our 1.5" x 3" badge size using the Arial font in gold and the Arial Rounded Bold font in ruby red. Border-002 Abstract border shown in purple, gold and neon red. You may specify a different color background in the comments section of your order. If you do not specify a border color, we will print it in purple. 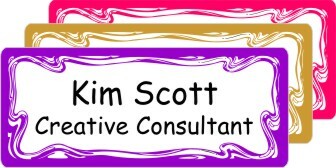 The sample shown is our 1.25" x 3" badge size using the Comic Sans font in black. Border-003 You may specify a different background and border color in the comments section of your order. 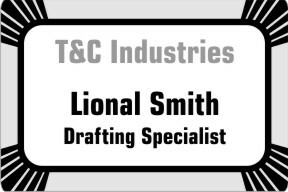 The sample shown is our 2" x 3" badge size using the Square721 font in medium gray and black. Blue Swish Border and divider lines shown in blue and gold. You may specify a different colors in the comments area of your order. 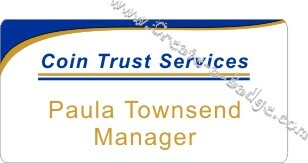 The sample shown is our 1.5" x 3" badge size using Arial fonts in matching blue and gold colors. Green Swish Border and divider lines shown in green and gold. You may specify a different colors in the comments area of your order. 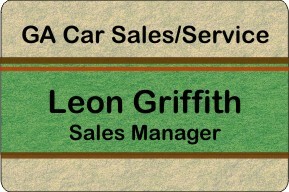 The sample shown is our 2" x 3" badge size using Arial fonts in matching green and gold colors. Red Swish Border and divider lines shown in red and gold. You may specify a different colors in the comments area of your order. 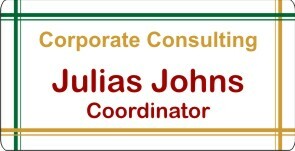 The sample shown is our 1.25" x 3" badge size using Arial fonts in matching red and gold colors. Striped-002 Earth-tone colors with a slight parchment looking texture. 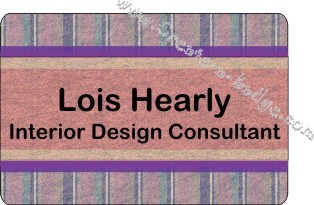 The sample name tag shown is our 2" x 3" badge size using the Arial Rounded font in matching black. Striped-003 Mauve, lavender and purples with a slight parchment looking textured background. 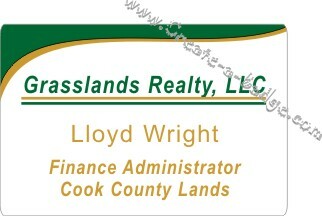 The sample name tag shown is our 2" x 3" badge size using the Arial Rounded font in matching black.